Large beach umbrellas make awesome promotional items. Dotted down the beach or placed out the front of a cafe or store. Printed with your branding or message for all to see. People will have no problem finding your venue or event with umbrella's emblazoned with your brand! Full colour print all panels. 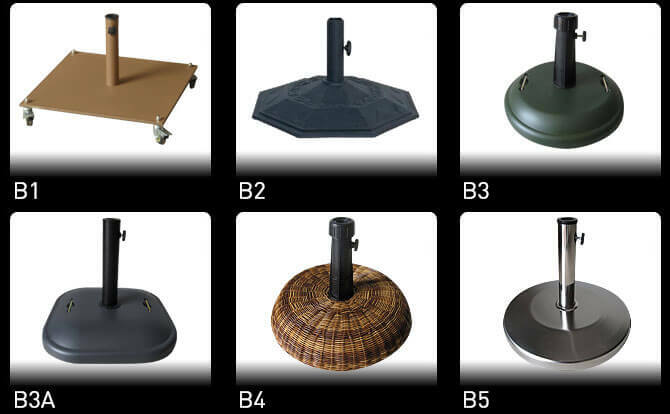 The parasol takes a simple form of oven hardened tubular aluminium and adds this to a robust wooden hub made from durable eucalyptus hardwood timbers. The final product is a visually pleasing contrast between natural wood and modern metal. The contrasts are assembled into one using our designer brackets. Combine this with a ballast fitting to hold the umbrella down. 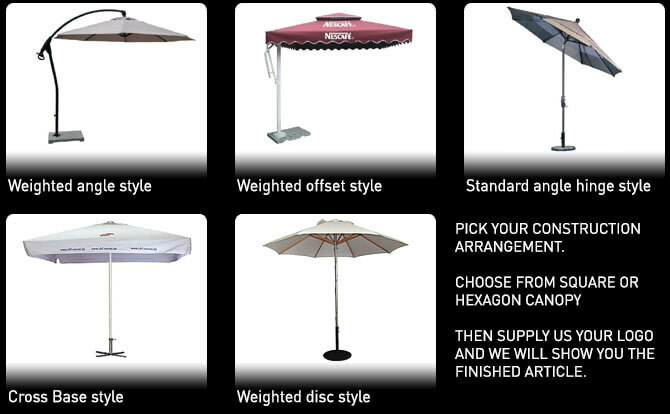 Our promotional patio umbrella is fitted with an acrylic fabric. Teflon coating assists in making the acrylic fabric water repellant, mould resistant and easily washable. Fabric life is measured in years and can be extended with proper maintenance. Clean fabric regularly and only store when dry.